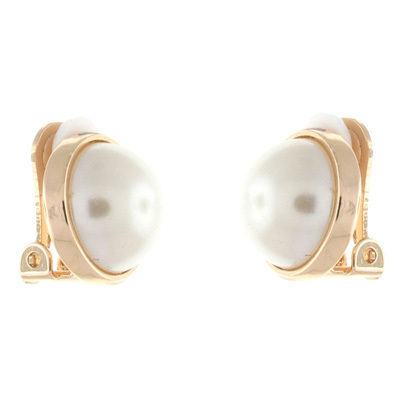 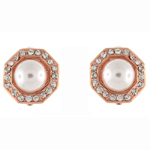 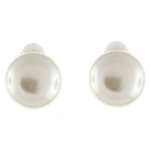 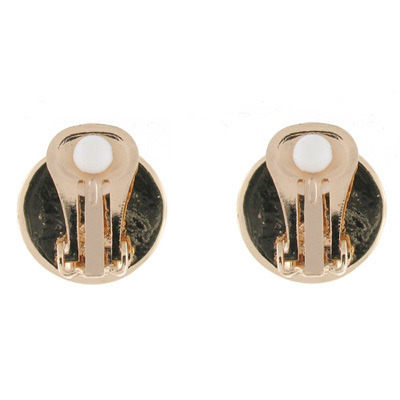 Casual pair of button clip on earrings composed of circle ivory pearl bead on gold toned frame. 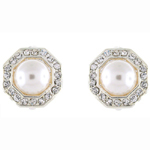 Size: 1.5 x 1.5 cms. 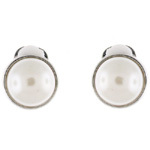 Earrings suitable for non-pierced ears with a paddle back style fastenings and are provided with removable white rubber comfort plugs. 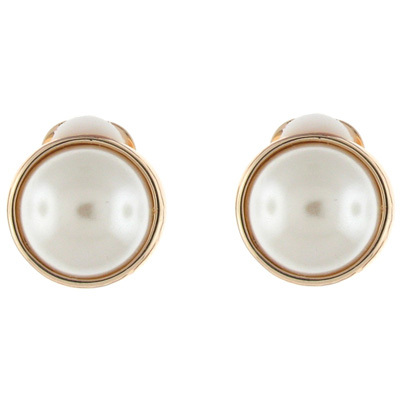 Great for a sophisticated evening look.